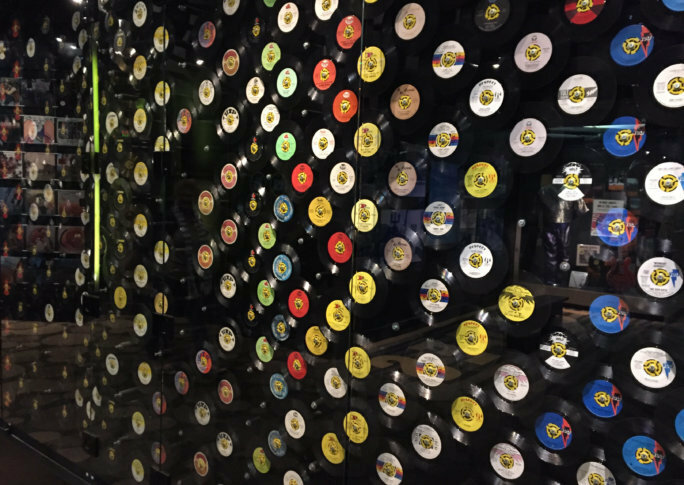 Before streaming services and digital downloads, millions of people got their music fix from the 45 rpm single. First rolled out by RCA in 1949, the 7-inch wax disc with its distinctive large central hole became the ideal way to buy the songs you wanted to play over and over. 1974 was considered the 45’s peak year — 200 million of them were sold. And all you needed was a dollar or less. By 1979, the vinyl single’s glory days were in steep decline. Jukeboxes started to fall out of favor as more music lovers bought LP (long playing) albums and cassette tapes. About 25 years later, Apple launched iTunes and digital downloads changed the audio landscape once again. The 45 isn’t completely gone, however. There are still specialty outlets that release them. In particular, Jack White of the White Stripes and his Third Man label.